IRR’s far from neutral in our insights into IndyCar’s incredibly iffy intro to 2019. Expect a typically erratic, albeit mildly entertaining start to the campaign on the streets of St. Pete, with nothing even approaching an error-free opener, much less Swedish drivers distinguishing themselves in any positive way. That’s coming from an author who’s actually visited Sweden – or as close as Stockholm comes these days. Despite a lamentably lame and lackluster course, the initial contest of the season is often surprisingly watchable, for as noted in last year’s preview, “My God – It’s Full of Rookies!,” the stunning lack of experience in what’d be considered spring training in any other sport usually provides some laughs – if not worse. We’re not merely referring to the outrageous maiming of paying race fans at the track a few years back, either. IRR unearthed some highly disparaging comments Carpenter made about the female phenom when they were erstwhile competitors in the Indy Racing League. By now everyone’s heard that Danica has landed at Ed Carpenter Racing for her swan song 500 in May. Lots and lots of niceties have been written about Danica‘s long overdue departure from motor racing, mostly centering on her solitary win at Japan in 2008 and more recently her accidental “slip” team reveal regarding Indy. Oopsie daisy! The mercurial motorsports owner’s the subject of still more baffling rumors – yet again. Victorious team principle in the last two Indianapolis 500s and three of the last four – all with Honda – Michael Andretti is supposedly considering an engine manufacturer change. Bizarre, but that’s just like our Michael. The scion of the famous Andretti clan – and apparently the last real IndyCar driver the family will produce – has had a lot on his plate, starting with Marco’s flailing, failed decade in the sport. Fernando Alonso being awarded the 101st Indianapolis 500 Rookie of the Year honors over Ed Jones is the biggest heist since Lufthansa. It shall henceforth be known as The Great Hardware Robbery. The Dubai born Brit clearly deserved the award after turning in an impressive third place finish in Sunday’s wild ride of a race. Instead, the Spanish born international celebrity who led before retiring with a blown Honda in 24th somehow won the distinction. If you followed the month long Alo saga in the media, it shouldn’t come as a surprise. The argument from some voters – more on them later – seems to be about Alonso’s engine failure, a story we’ve been on top of since the beginning. The trouble with that reasoning is that Ed Jones had the same motor, a Honda. Difference is, he not only finished, but also finished on the podium. This coming – remarkably – in his first ever Indy 500 and only sixth IndyCar race. 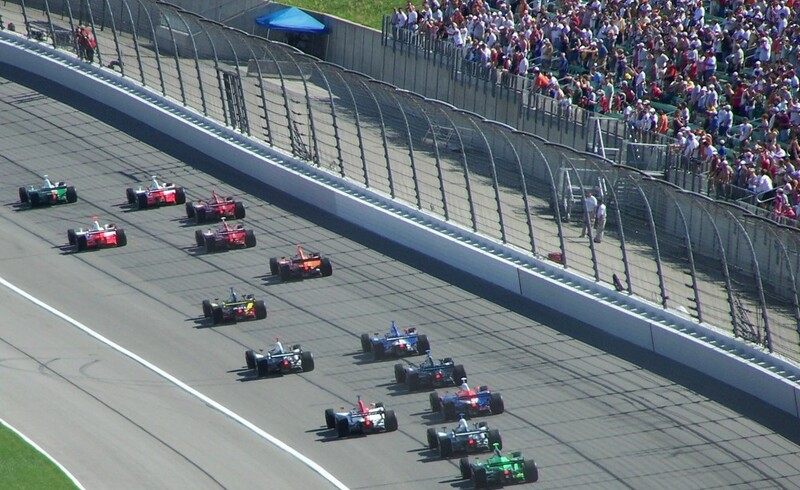 The Indianapolis 500 is an American tradition like no other. Now into its second century, the 500 remains one of America’s great contributions to the world, as millions of Spaniards are about to discover thanks to Fernando Alonso. Our special prediction for the Greatest Spectacle in Racing concerns the show itself, the racing. Expect highly exhilarating, edge of your seat, 230 mph ecstasy on the ancient oval Sunday – the way all racing should be. Of course that’s assuming the weather cooperates. Pay particular attention to the truly unique start, with eleven glittering, growling rows of three cars. It’s among the very best moments in all of sport. First lap leader will come from the outside of row 1 and he’s led before, even recently. It’s 100th Indy 500 winner Alexander Rossi. The American prevailed on strategy and fumes last year, was impressive in qualifications last weekend and is still young and inexperienced enough to go for it early. Prepare for a vocal crowd reaction when he shoots into the lead.